We are a leading Manufacturer & Exporter of Food Preparing Machines such as Steam Operated Idli Cooking Plant, Halwa Making Machine, Fire Heat Steam Tank, Double Jacketed Rice Vessel, Dinning Tables for Marriage Halls, Dinning Tables for Kalyana Mandapam and many more items from India. 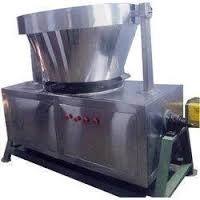 Zigma International is one of the noted manufacturers and exporters of Steam Operated Idli Cooking Plant that can be availed in numerous specifications. Widely demanded in huge hotels and restaurants, these operationally fluent plants are used for making tasty idlis in bulk. Owing to the rugged construction, longer operational life and high production rate, the offered plants are massively asked for. Being one of the prominent companies of the business, we are involved in proffering Halwa Making Machine at industry leading rates. The proffered machines offer an easy way of making halwa in huge quantity, but in the shortest time. Because of the energy-efficiency, robust construction and long functioning life, the selection is widely demanded among our prestigious customers. With the aid of our highly experienced professionals, we are instrumental in manufacturing and supplying innovative quality Fire Heat Steam Tank. This equipment is highly demanded for its energy efficiency as it prepares food with steam. Developed using seamless steel frame, and quality approved components, this high performing steam tank can be ordered from us at the best price. Our technological adeptness has made us the pioneers of manufacturing and supplying leading quality Double Jacketed Rice Vessel. Widely demanded for preparing rice in shorter duration, this innovative equipment is developed from double shell covering with gap equipped with spiral baffles. This helps to reduce the times of cooling and heating of the equipment making it best suitable option for commercial kitchens. We have been counted amongst the most reckoned company names involved in offering Dining Table for marriage Halls and Kalyana Mandapam. 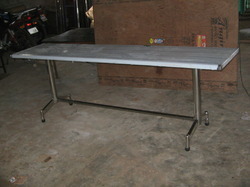 Our Dining Table is incorporated with quality assurance that is facilitating hassle free performance. This product is tested by our industrially approved parameters in order to ensure the quality, durability and strength of the product. Clients can avail this product at market leading prices using customized packaging. With the perfect amalgamation of research and innovation we have become successful in manufacturing and supplying highly durable Instant Grinder. 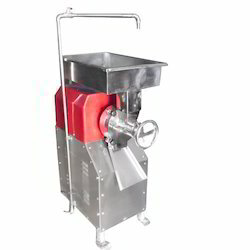 This equipment is suitable for restaurants, canteens and industrial kitchens for wet grinding on any material. Developed with aluminium and stainless steel body, this machine rotates anticlockwise and grinds everything smoothly in its first load. 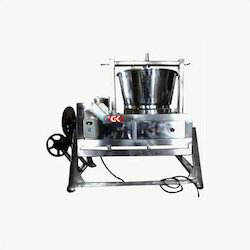 we present Halwa Making Machine that is widely used in food manufacturing industries. 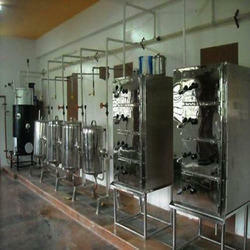 They are available in two types including steam type and gas types that are highly appreciated by our clients. 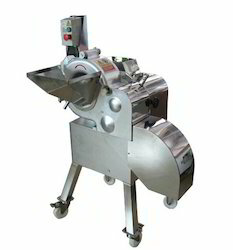 Halwa Making Machine (Steam) that is widely used in various industries including restaurants, hostels, sweets outlets, bakery and confectionery. This machine is electrically driven and is obtainable with a large halwa container along with a steam generator. The steam generator generates the steam that is further used to cook the halwa. Production capacity varies according to different sizes and specifications of the machines. We use premium grade stainless steel for the production so as to prevent it from corrosion and make its operational life enduring. These are durable with high tensile strength to deliver the satisfactory results. Chilli Cutter is suitable for chilli cutting for large production of pickles or any other food products from chillies. All contact parts are made of Food graded stainless steel materials. The chillies are cut into small pieces. The Chilli Cutter is drve by heavy duty motor or Hand.